Despite leaving myself open to verbal thrashings from friends and readers online alike, I’ve been honest in admitting that Venom is one of the comic book movies I’m looking forward to most in 2018. After missing the mark with the iconic character in 2007’s Spider-Man 3, surely Sony would have to do a better job with a solo outing, right? Well, if recent chatter is to be believed, then those of you in the same boat as I have reason to go in with lowered expectations. 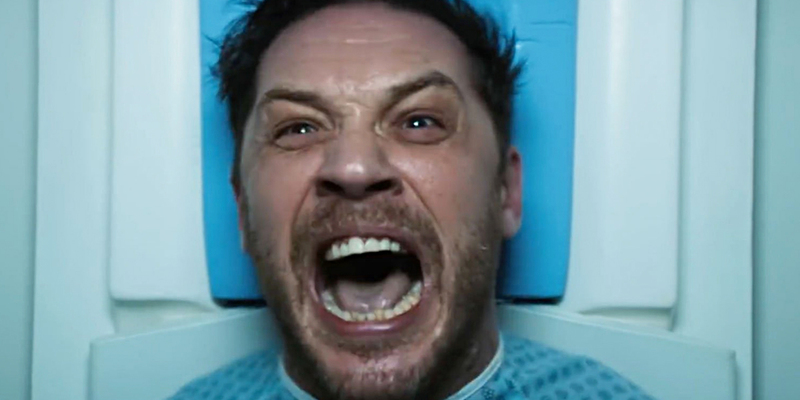 Having taken that in, it’ll do nothing to alleviate worries after viewing the first teaser trailer that gave us the indication Venom will be a decent action flick starring Tom Hardy, with not much implying it’s based on a Marvel property. Furthermore, multiple symbiotes are said to be confirmed: “the Venom one, the one the villain uses, and a third that seemingly kills the first person it bonds with.” Given that, the possibility of Carnage being the chief antagonist remains, but I still can’t help feeling like I’ve been punched in the gut. With Venom slated for an October 5 release, we’re hoping that much can be done to yield a good final product, but with consumer confidence in Marvel films produced solely by Sony hitting rock bottom, we’re not expecting much.